Discounts up to 15% available, subject to higher volume. Please contact our Sales Team for more information. 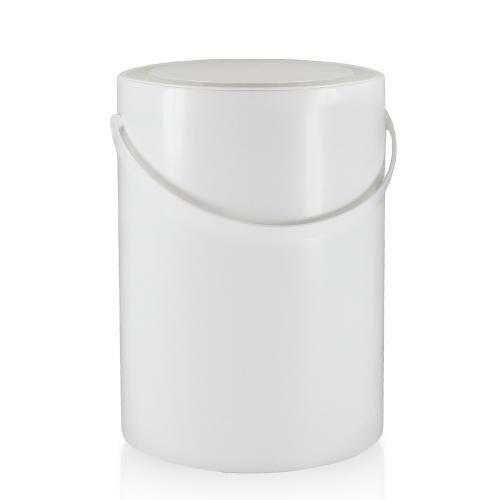 5L white plastic paint can and white plastic lid. 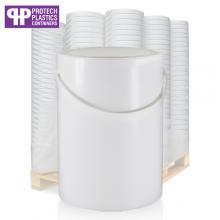 This quality container made by Protech Plastics comes complete with plastic handle for ease when transporting. 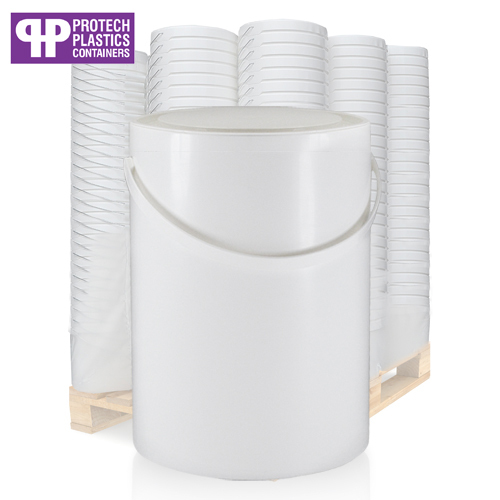 This straight sided bucket is ideal for paint but is also suitable for powders, granules, pastes and more. This bucket is food grade approved and is therefore suitable for cooking ingredients and foodstuffs.